Singara Chennai seems to be the busiest city during the peak hours, and that too during the Friday evenings, crossing the Koyambedu and OMR junction becomes one challenging task. Here is where the superhuman traffic cop come into play in managing the traffic under the burning sun and even late nights tirelessly. Does it looks exhausting?? Obviously YES!! 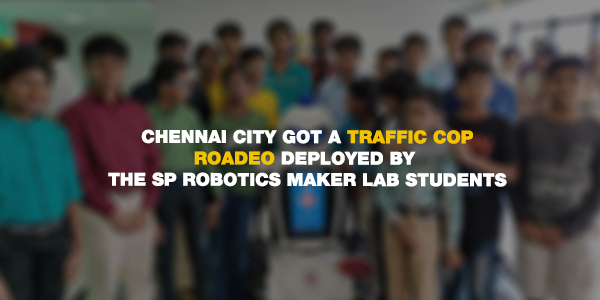 In order to make the process ease to the traffic police, students from SP Robotics Maker Lab - Chennai developed Roadeo - The Traffic Bot and gifted it to the Chennai city. Know what? this Roadeo has the facility to publicize social news on the LED display for creating traffic awareness among the people. 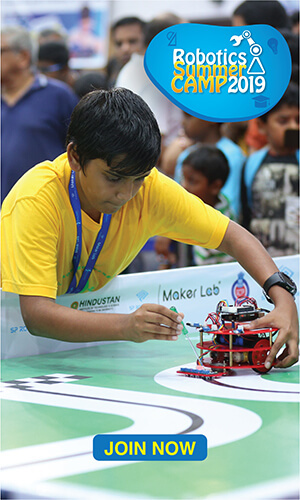 Let's hear from students of SP Robotics Maker Lab Chennai about their experience in developing Roadeo - The Traffic Bot. 1. Can you guys explain why you have developed Roadeo - The Traffic Bot? The main reason for developing the Roadeo is to make the traffic police work easy and also helping the pedestrians cross the road safely. 2. How do you feel being the part of this celebration? We had a chance to work on real time project. In fact, we are glad that we had contributed to social welfare. Technology is for reducing the human effort, with Roadeo we have used it wisely. 3. What impact will the Roadeo - The Traffic Bot will do to the society? We used to wait for the RED signal. Even then we had to rush to the zebra crossing and still, need to hold each other hand to cross the road. We hope our Roadeo - The Traffic Bot will give the students the confidence in crossing the road without any fear. Roadeo will move towards the road and show the STOP sign, thus alerting the people in releasing the break in their vehicle. We can control Roadeo manually through Blue-tooth app. We are also working on upgrading the image processing in autonomous mode. Cheers to you guys for developing this innovative Robot Roadeo - The Traffic Bot for Chennai city. This will create an enormous influence on students community to motivate them in building more futuristic projects for the environment. These little Makers are all of the age 9 and above. 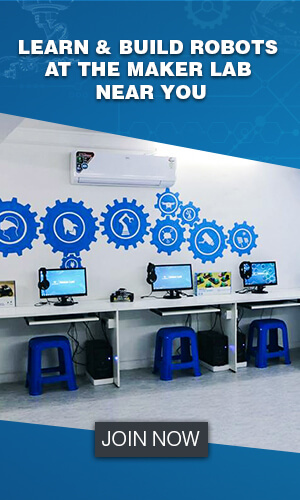 They already have made wonders to our Chennai city. If you also want to be the part of this innovative Robotics journey, then accompany these Makers from SP Robotics Maker Lab.